Hi, My name is Melissa and I’m a chocoholic. There. I said it. I am addicted to chocolate. I think it all started back in High School when my friend made the mistake of challenging me to see who could go longer without eating chocolate. I agreed and was very determined to win. EIGHT long years later, I finally won the challenge, eating a bit of a chocolate chip cookie. Oh man, i had forgotten how good chocolate was. That moment, an addiction started. I could eat chocolate every day. Every meal. Breakfast. Lunch. Dinner. Snack. Dessert. And in Between. Okay, okay, thats probably a bit exaggerated, but I really do love chocolate. 🙂 I really loved this recipe because it is the perfect amount of chocolate. 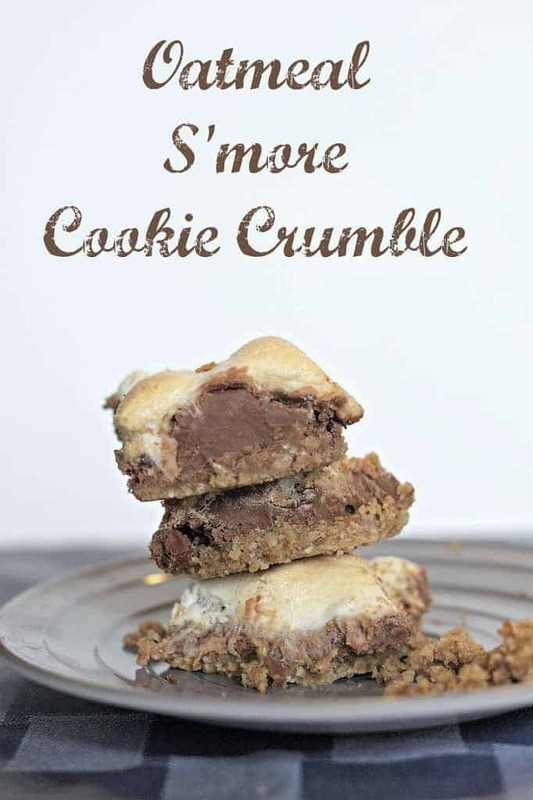 It gives you the feel of a s’more but the taste is more sophisticated and spectacular. The Oatmeal crumble was a great additional that gave the feel of the graham cracker while giving a delicious crumble crust. I hope that you enjoy! 2. Combine Oats, Salt and Flour in Food Processor until smooth. 3. In medium size bowl mix softened butter and brown sugar until combined. Add dry ingredients until mixed. 4. Flatten mixture into bottom of 8×8 pan. 6. Top Cookie crust with chocolate chips, spreading evenly. 7. Bake for 5 minutes until chocolate chips are spreadable. Spread evenly over Cookie Crust. 8. Top entire pan with Marshmallows. 9. Bake 10 minutes or until toasted. 10. Remove from oven and immediately move it to the refrigerator to harden the chocolate. 11. Cut Oatmeal S’more Cookie Crumble Dessert into squares and Enjoy!